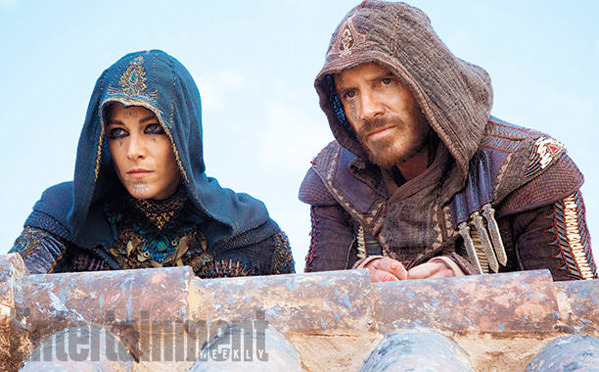 2016 is going to be an interesting year for video game movies. Two of the biggest adaptations in a while are set to premiere in theaters - starting with Warcraft in the summer, and eventually Assassin's Creed in the winter. 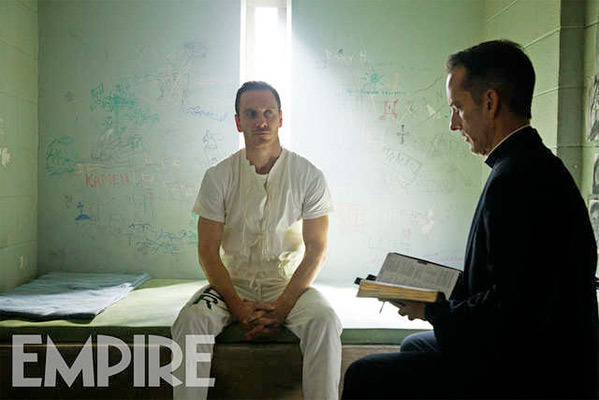 We've already seen one first look at Michael Fassbender in costume in the Assassin's Creed movie, but with filming now underway, a few more photos have appeared. 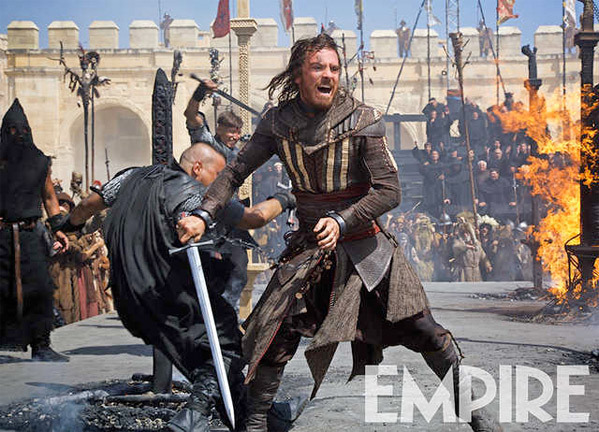 The latest action set comes from Empire, showing Fassbender in his iconic assassin's cloak. "We're striving to find something special. We believe the whole concept around it is special and want to service that the best we can… We’re really trying to capitalize and feed on and enjoy the fun element. We’re working hard to make this something special." View below. I never got past the tutorial but I'm looking forward to this, I think it will be good, based on how well these guys did with Macbeth. That looks a lot better than I feared. Doesn't the last photo give away a major plot point? I don't think so, to anyone aware of the games. I don't play them (not a FPS fan, even for fantasy settings), but even I am aware that part of the AC story is the bloodline-history-viewing. The whole series was riddled with Illuminati symbolism and motifs, I expect no less from the Hollywood production. Still a great series of course, as long as your are aware of the esoteric themes. I hope the movies makes sense to those of us who've never played the game.